VERIFY: Think you can spot who's real from who's fake online? Our Verify segments work to bring you as close to the truth as we can. A viewer asked our team how do you know if you're talking to a human or a bot online? So we headed over to Distil Networks in Arlington, Va., where we met with the Verify viewer and co-founder of the company, Rami Essaid. 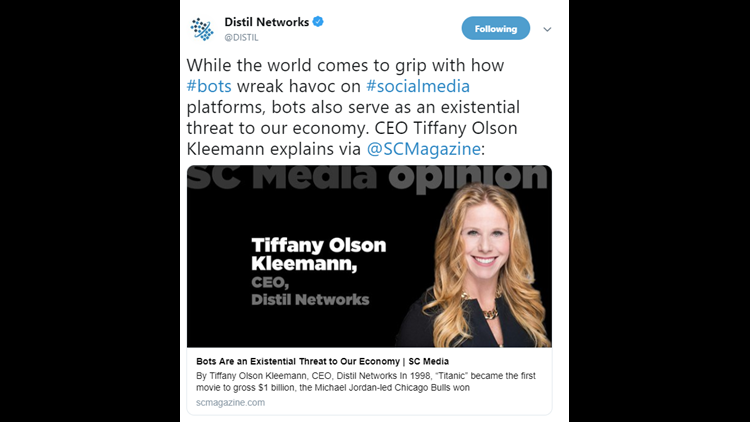 Essaid founded Distil Networks eight years ago, one of the world's leading company in bot detection and mitigation, meaning they work to identify and get rid of bots. "What people don't understand is half of website traffic online right now is made up of bot... We've built systems that are there to detect bots in real time at mass scales," Essaid explained. So we asked, what exactly are bots trying to do online? Our experts told us they work to intercept a variety of things like buying tickets to that concert that just opened up, snapping up the hottest shoes online right after they went on sale, leaving phony restaurant reviews and influencing online polls. But not all bot are malicious. Bots work to send automatic replies when you're out of the office, filter out spam messages and they can find you the best deal on something you're trying to buy. 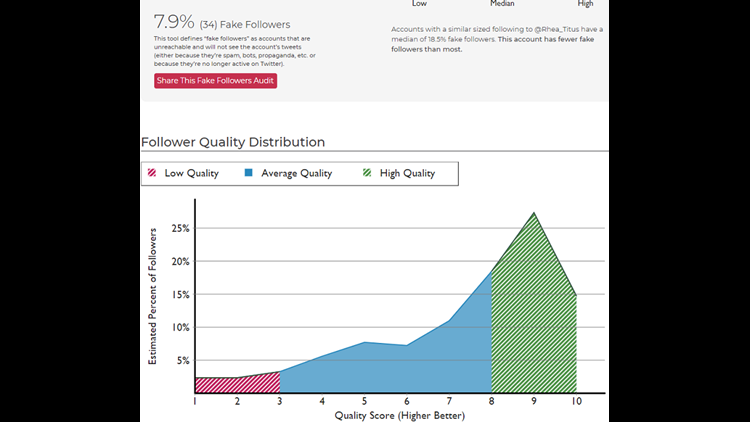 But there's a lot of bots online trying to dupe us, like the fake Twitter followers. Essaid told Verify researchers you can actually type into Google, "buy Twitter followers", "buy Instagram followers" and find sites that will sell you followers, approximately 100 followers for $5. But there are tools online to help, like Sparktoro. "You can go in and put in an individual person and click on follower audit and put in your own user and it'll tell you or you can put in the username of somebody else and it shows you if that individual person is fake or not and how many fake people exist," Essaid explained. • Do you have a history with this person? • Have they sent you emails before? • Have you interacted or what is their own interactions online? You can also search their emails in Google and see what kind of emails come up, where that’s been posted, and you can look at their history on their social media site. And bots aren't going anywhere. Distil Networks has tracked down almost 8.5 billion of them approximately in the last 30 days. Lawmakers are catching on to the problems being posed by bots, in 2016 legislation passed to stop bots from buying up concert tickets and lawmakers introduced the Stopping Grinch Bots Act Of 2018 to stop bots from buying up the hottest Christmas presents right after they go on sale. In California, a unique new law is in effect that bans the use of bots to "fool people".